Good grief -- this book might possibly win the award for most convoluted murder mystery I've ever read, but it's definitely fun. "After months of investigating with the dogged tenacity of Ralph Henderson pursuing Baron R**, I was no closer than Symons in discovering the solution. Even an 1868 “Handbook of Fictitious Names” didn’t help: Felix is listed, but next to his pseudonym is nothing but a mockingly empty pair of brackets. More mysteriously, correspondence with the man is entirely missing from the archive of Saunders, Otley & Company, his book publisher." "It is understood that 'Velvet Lawn,' by Charles Felix, the new novel announced by Messrs. Saunders, Otley & Co., is by Mr. Charles Warren Adams, now the sole representative of that firm." The entire story appeared over eight installments into 1863, and was quite popular with readers. According to Julian Symons in his Bloody Murder, the book was very likely an attempt to "repeat the success of The Woman in White," complete with its own Count Fosco-like villain, but was in "several ways an original work." 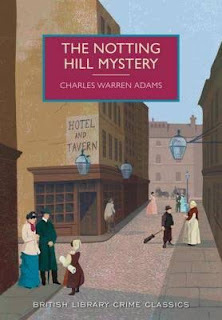 (51) It is reputedly the first modern English detective novel, and Adams gave it a number of new, innovative twists and ingredients that set it apart from other books featuring detectives that were quite popular at the time. For one thing, the detective here, Ralph Henderson, has nothing at all to do with the police; instead he is an agent collecting evidence for an insurance company. For another, the book is filled with elements such as a cryptic fragment of a letter in French, a marriage certificate, statements and depositions from several witnesses, and even a floor plan of a victim's home. Old hat you may say -- we've certainly seen the likes of those sorts of things in tons of books we've read, but while we take them for granted, back then these were all new additions to the standard detective stories of the time. 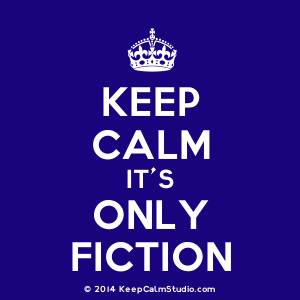 There are overlapping layers of narrative that bring with them not only new levels of mystery, but which bring the reader ever closer to the truth of what has actually happened. The Notting Hill Mystery presents, as I said, a most convoluted murder mystery. Ralph Henderson is trying to determine the truth behind the death of a woman after her husband had taken out several policies on her life totaling 25,000 pounds. The novel is his report to the Secretary of the ____ Life Assurance Association, and he lays out two "alternatives" which "present themselves" after careful consideration of the evidence. He himself, as he says, is unable to decide between the two, so offers his facts "in the form in which they would be laid before counsel." "In the 1830s and 1840s, for instance, there was a craze for Mesmerism, in which miraculous medical cures could be affected by manipulating the invisible flows of 'animal magnetism' that passed through and between bodies. The Mesmerist would throw his subject into a trance, allowing the passage of energy into the weaker body of his patient, as if literally recharging their battery." But wait, there's more. This twisted knot of a novel also includes twin sisters who have an abnormal "sympathy" -- an ability to psychically feel the other's pain -- who are separated as small children when one is stolen by Gypsies. Then there's the Baron R**, the authority on Mesmerism who just happens to be on hand to take care of the remaining and now-married sister in her adult life, as she is rather sickly. There's also the Baron's wife, a medium who has wide feet from her career as a tightrope walker, and really, so much more is going on here that all contributes to the "convoluted" story that takes place in this short but fun novel. I could go on but the fun is in uncovering the diabolical craziness at work here. As Symons says, the methodology underlying the murder may seem "preposterous to us," but it "seemed much less ridiculous to the Victorians," a hugely important point to consider while reading this novel. I actually chuckled a number of times while reading this book, but at the same time, I was completely engrossed and couldn't wait to see Henderson's conclusions at the end. It's that kind of book, really -- as silly as it may seem, I just couldn't help myself turning pages while wondering if the murderer would actually be caught and if so, if he could even be prosecuted. It's also an important milestone in the history of detection novels, written well before Sherlock first made an appearance in print. I would recommend it to anyone who has an interest in the history of crime writing/crime fiction, and also to anyone who loves discovering something quite off the beaten path. Even though it might make you groan inwardly here and there or do the inner eyeroll at places, I just loved it.